When Mr and Mrs Shinyshoes set off for work, Claude decides what adventure he wants to have that day. Today he and Sir Bobblysock go to the city for the very first time. They have tea in a cafe, go shopping and visit a museum. 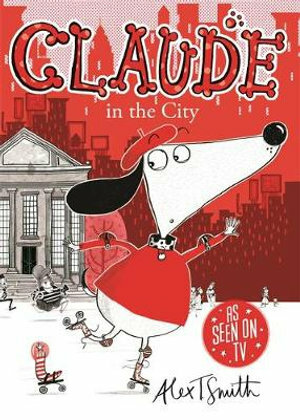 It is all very normal until ... Claude accidentally foils a robbery and becomes the local hero!